So this run has not been on my list… ever. I never really had any desire to do these runs. I had run Chamise Gorge a few years back and had run Ant Canyon several times. Running them separately had always been fine by me. But then this year (2010) as the Kern River Fest was approaching, we decided to make the long drive down to the Kern Friday night. Since I had work on Monday I needed to get a sufficient amount of boating in in the two days that I would be at the Kern. 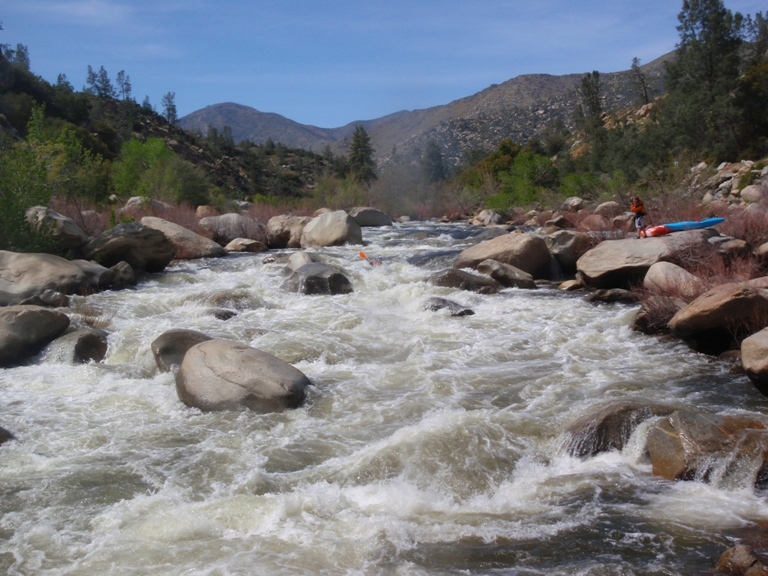 Due to this, the plan was hatched to do Brush Creek and continue down river through Limestone, Fairview, Chamise, Salmon Falls, Ant Canyon, and Thunder. 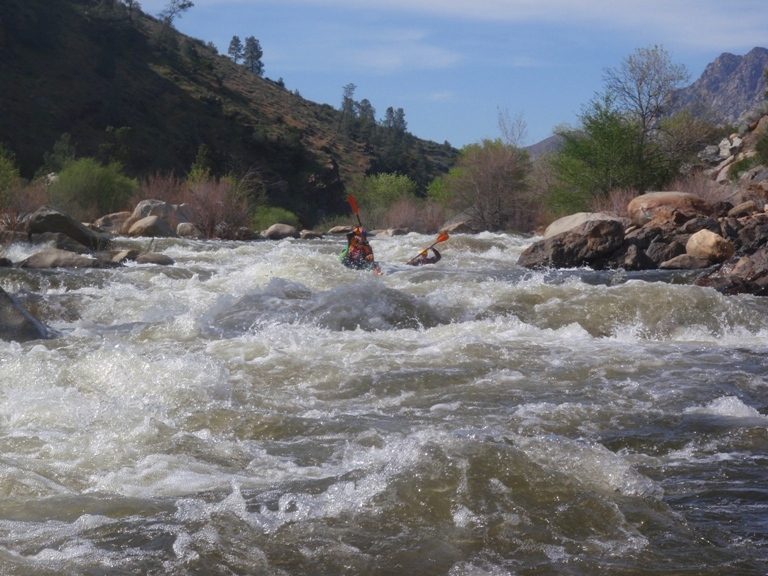 To make life easier and allow for as little shuttling as possible we decided that we would run through the Salmon Falls section and decide when we arrived if we would run them or not. In typical Kern fashion, this run is very short. 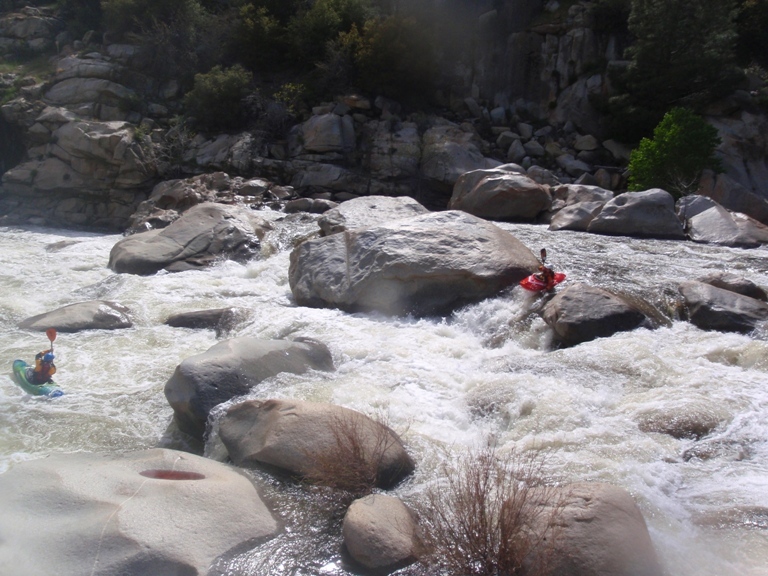 The Kern has a plethora of river access points. This fact makes the Salmon Falls run rarely run. It is so easy to make a day’s worth of boating by taking out just above or putting in just below this section. 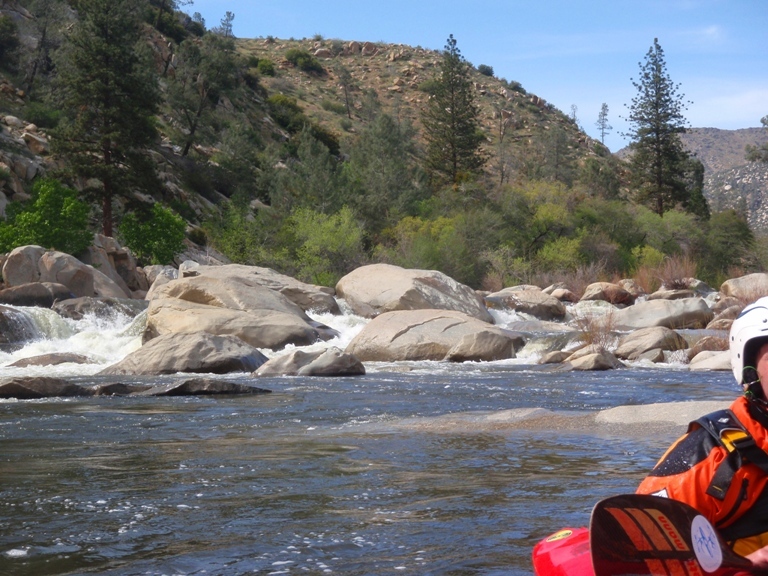 It stands out as a step above anything else on the Lower North Fork of the Kern though is a great addition to add spice to a day. 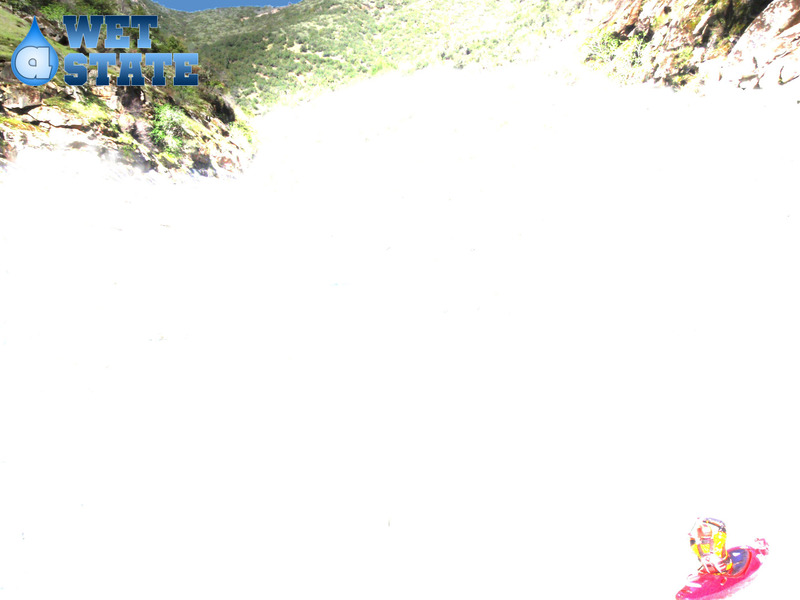 I am sure some flows are more friendly then others to boat these falls. At 1,200 cfs both the upper and lower falls seemed ok. The upper falls is stouter and more dangerous while the lower falls contain lines ranging from class IV to V. Both should be properly scouted before venturing into though as both have very serious sieves that are very much in play. Upper Salmon Falls (V). A chunky lead in down a ramp leads to a few rocks, we went down the right side of the ramp avoiding the rocks to the left. The river then splits around a large center rock, I have seen lines to the far right making sure to clear the hole that feeds into the sieve. We all decided to go left down the very chunky chute that is known to contain several hazards. Just above the left chute is a hole that should be taken note of as it ends up having more teeth than expected and gave one in our group a high stress surf. Lower Salmon Falls (IV to V). We took the easiest line. Just left of the large midstream boulder lies a small ramp into a small hole. From there it was clear sailing. 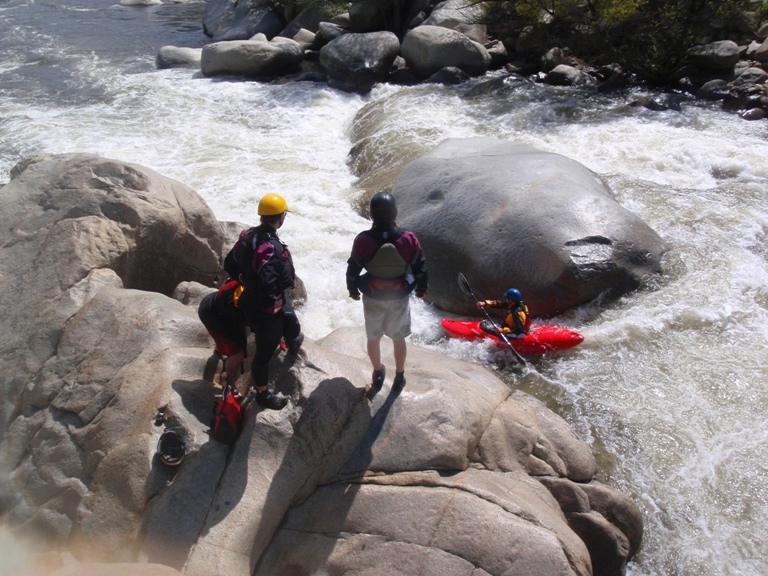 Some folks go around the other side of the rock and splat the boulder just downstream. Other folks still go farther left and make a move in front of a large sieve. Not as hard as the Upper Falls but full of hazards none the less. Class IV. One fun class IV rapid leads you to the end of the run. Take out: 1.5 miles further up, on the right you will come to the turnout which has a sign pointing up to the right for the “Salmon Creek Falls.” Park in the turnout. Put in. 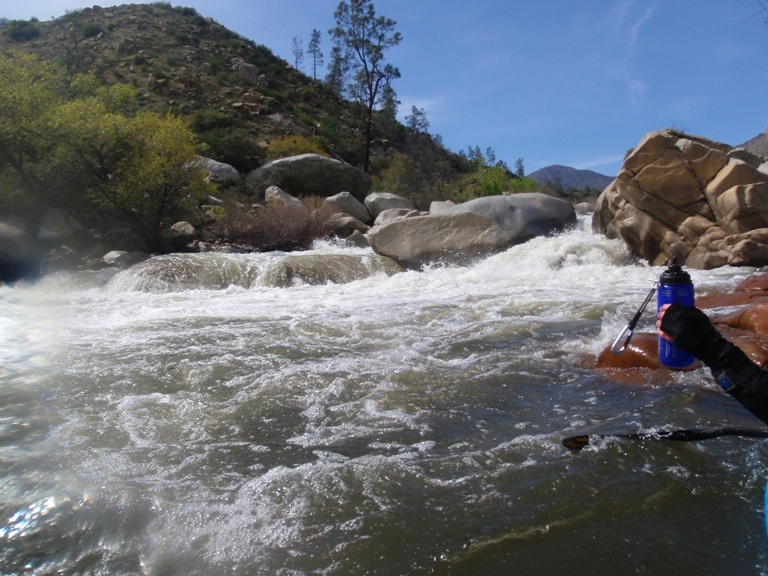 10 miles up 155 from the Kern River Brewery, use Ant Canyon Free Campground for the put in.